WonderCon 2013: LucasFilm and Dark Horse Announce THE STAR WARS! « The Spirit of Vengeance Returns in THE CROW: CURARE! 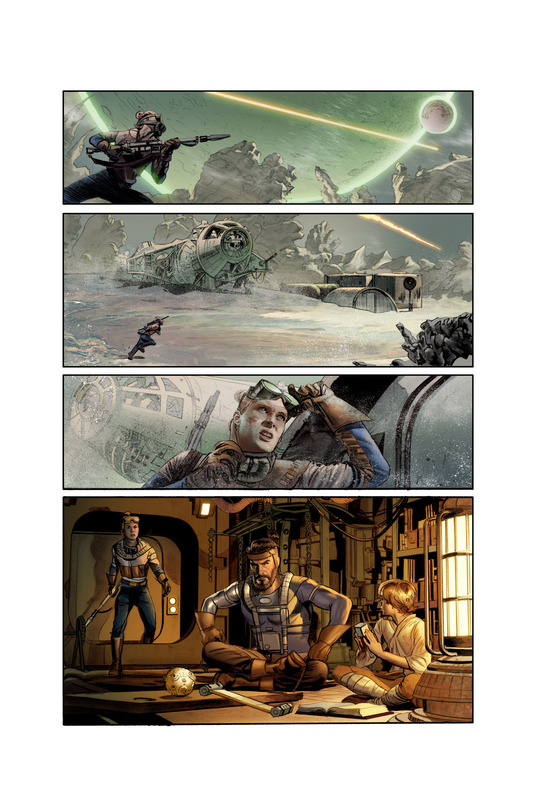 LUCASFILM AND DARK HORSE ANNOUNCE THE BIGGEST EVENT IN THE HISTORY OF STAR WARS COMICS! George Lucas’s original-draft screenplay for The Star Wars to be adapted by J. W. Rinzler and Mike Mayhew! APRIL 1, MILWAUKIE, OR–It’s no April Fools’ prank! Dark Horse is honored to announce a dream project: working with J.W. Rinzler, executive editor at LucasBooks, and artist Mike Mayhew (Avengers) to adapt the rough-draft original screenplay which spawned the biggest franchise in film history! This entry was posted in Columns and tagged dark horse, george lucas, J. W. Rinzler, lucasfilm, Mike Mayhew, star wars, wondercon. Bookmark the permalink. Follow any comments here with the RSS feed for this post. Post a comment or leave a trackback: Trackback URL.